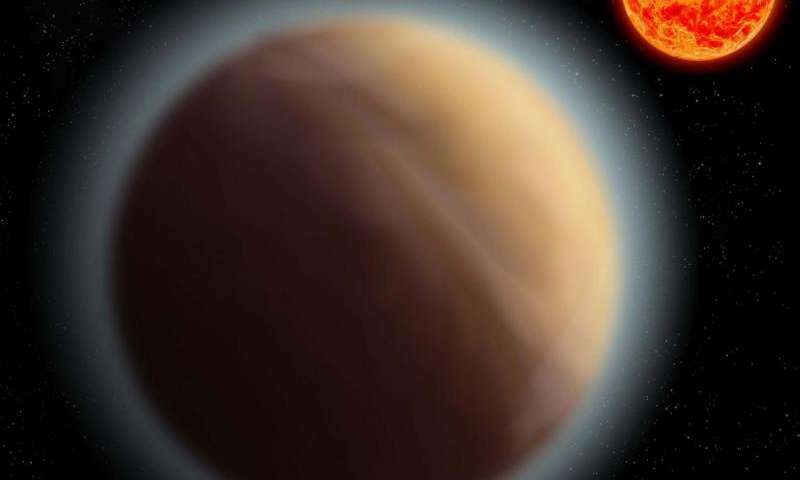 Astronomers have detected an atmosphere around the super-Earth GJ 1132b. This marks the first detection of an atmosphere around a low-mass super-Earth, in terms of radius and mass the most Earth-like planet around which an atmosphere has yet been detected. Thus, this is a significant step on the path towards the detection of life on an exoplanet. The team, which includes researchers from the Max Planck Institute for Astronomy, used the 2.2-m ESO/MPG telescope in Chile to take images of the planet’s host star, GJ 1132, and measured the slight decrease in brightness as the planet and its atmosphere absorbed some of the starlight while passing directly in front of their host star. We’re still a long way from that detection though. Until the work described in this article, the (few!) observations of light from exoplanet atmospheres all involved planets much more massive than Earth: gas giants—relatives of our own solar system’s Jupiter—and a large super-Earth with more than eight times the Earth’s mass. With the present observation, we’ve taken the first tentative steps into analyzing the atmosphere of smaller, lower-mass planets that are much more Earth-like in size and mass. The size of stars like GJ 1132 is well known from stellar models. From the fraction of starlight blocked by the planet, astronomers can deduce the planet’s size—in this case around 1.4 times the size of the Earth. Crucially, the new observations showed the planet to be larger at one of the infrared wavelengths than at the others. This suggests the presence of an atmosphere that is opaque to this specific infrared light (making the planet appear larger) but transparent at all the others. Different possible versions of the atmosphere were then simulated by team members at the University of Cambridge and the Max Planck Institute for Astronomy. According to those models, an atmosphere rich in water and methane would explain the observations very well.